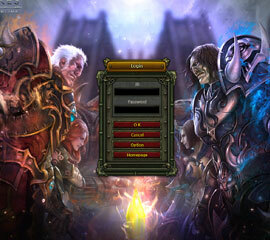 THE EMPIRES OBT IS OPEN TO EVERYONE! 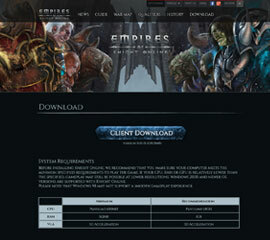 JUST DOWNLOAD AND INSTALL THE EMPIRES CLIENT. DON’T MISS A CHANCE TO TRY OUT NEW FEATURE BEFORE ANYONE ELSE DOES! JOIN OPEN BETA AS A CLAN! JOIN OBT AS A CLAN AND RECEIVE AN EXCLUSIVE REWARDS! PREPARE FOR THE SEASON AND INCREASE YOUR CHANCE TO WIN THE NEXT SEASON! WE ARE RECURITING ONLY 60 CLANS. REGISTER NOW! 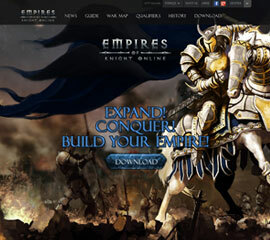 SIMPLY LOGIN WITH YOUR NTTGAME ACCOUNT AND PLAY EMPIRES!